Scrolling through Facebook recently, I clicked on an ‘open letter’ from a mother to her strong-willed daughter. 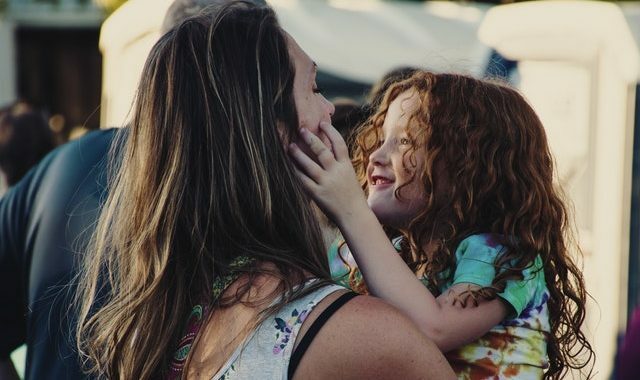 This mom’s emotion was apparent in her writing, and as I read through the letter, I could gather that she had walked a tough road parenting her daughter for quite some time. There was a tone woven into those paragraphs that made me think this mom had spent some time working to gain a sort of acceptance—perhaps that her daughter would continue to struggle emotionally more than others, which the writer explained led to a lot of lonely feelings and isolation. The letter depicted a graceful and emotionally compelling effort to find the good in a tough situation. And maybe I was particularly moved because, while I work with what may be considered strong-willed or spirited kids every day in my professional life, I’ve also had a very personal experience sitting in the spot from where this mom was writing. But there was something my own strong-willed child really needed me to know and understand. Being strong-willed doesn’t feel good. In fact, it can feel horrible for kids. And it doesn’t set them up to be powerful leaders and innovative thinkers the way we sometimes like to imagine. Of course, that doesn’t mean a child who struggles with social skills and emotional regulation can’t grow up to be these things and more. But understanding a challenging child’s inflexibility, low tolerance for frustration, and poor self-regulation as personality traits rather than skills that can actually be taught is missing the mark. Kids—like adults—would choose pro-social problem-solving, feeling relaxed and easygoing any day. Personality traits as positive or negative is subjective. But one thing is for sure—inflexibility and struggling to adaptively problem-solve when it’s not a choice has nothing to do with personality. Research has shown over the past half-century that challenging kids are delayed in the development of critical cognitive skills, which include problem-solving, frustration tolerance and flexibility, or the ability to adapt to situations. We’ve also come to learn through looking at executive function that a child may have these skills to some degree, but it is common to lack the ability to apply them. The good news is we can influence change by understanding that the demands placed on our kids are creating the behaviors we are seeing, and that if we learn the appropriate ways to teach these skills, our strong-willed kids can now feel more laid back, adaptable, and easy-going. If you are already able to see your child as strong-willed, spirited, or tenacious, you’re looking for a positive spin on your child’s behavior. This is good news! Placing an emphasis on skills allows you to consider your child’s maladaptive behavior as a type of learning disability. Through this lens–rather than seeing behavior as intentional, attention-seeking, a personality flaw, goal-oriented, or manipulative—you’ll be able to track progress, rather than simply tracking failures or misbehaviors. 2. Put your assumptions on the shelf for now. It’s tempting to jump into a situation, assuming we understand what will help our child. Pausing, or staying quiet, when we really want to offer what we think would be a simple solution to alleviate tension is really hard for us parents. “It’s ok, you don’t have to get so upset.” “You’re worried about nothing! That’s not ever going to happen, it’s not something you have to waste energy worrying about.” “Calm down.” All of these responses when your child becomes upset, angry, anxious, indignant, stubborn, or rigid with peers assume you know the problem is that your child is becoming emotional about something that they don’t need to be. (i.e., that they’re choosing to react the way they are.) You’re going to need to practice talking less and listening more, which means being much more selective with the words you use. Ask questions about who, what, when, and where in order to make sure you are helping your child address his true concern when things become difficult. Notice common triggers, antecedents, setting events, persistent challenging demands for your child, and use this information to make observations and extract information from your child about his experience. Try asking about his thoughts during a particular event, rather than feelings. Make sure you talk with your child when he’s calm, and that you’re referring to the demand or expectation he couldn’t meet (i.e., play nicely on the playground with friends at recess yesterday, remain calm when doing homework after school earlier today, talk in a respectful tone to mom when it was time to put the iPad away). Conducting conversations this way will help you avoid common pitfalls, like labeling your child’s behavior, which doesn’t lend itself to solutions (“That was a bad choice.” “He just wanted attention.” “I understand you were angry, but I can’t allow you to act like that.”) or making assumptions (“He didn’t take his meds.” “He just can’t get along with others.” “I think he might have ADHD.”). That’s not to say wanting to understand why or how your child feels isn’t important. An inquisitive and empathic mindset helps shift the tone of a conversation to one of collaboration and compassion; however, your time is best spent in those conversations getting to the bottom of your child’s concerns. You’re more likely to come up with an effective solution with your child if you start with the right problem. Some kids seem to have a more positive, easy temperament in general. The skills they’ve developed thus far are adequate to navigate the demands of home, school and their peer group—a good portion of the time. Some easy nudging and occasional incentives may work wonders for these kids. But the ones who will appreciate your help to finally get to the bottom of the problems standing in their way, and to learn the skills they need to solve problems themselves have a better chance at not only living out those dreams you have for them, but also their own. Having the skills to make rational choices allows a child the sky as their limit, and your reward will be to watch them emerge as the person they truly are. Posted in Articles, Behavior, Uncategorized.